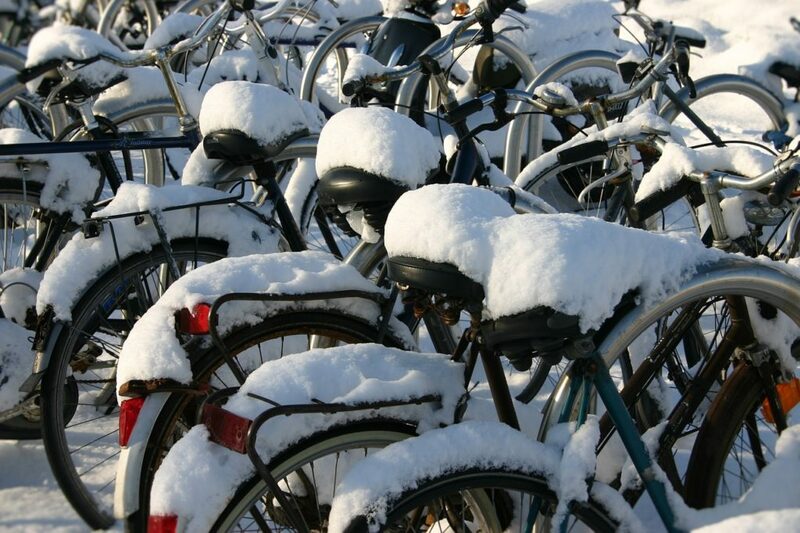 Dutch winter days are short but the season can feel long, especially if you’re from sunnier latitudes. My family lives in North Carolina in the south eastern part of the United States. The shortest day in North Carolina is two hours longer than the shortest day in the Netherlands. To put it another way, I’m missing out on 25% of the sun I’m used to every day – and that’s if the sun shines through! Sun deprivation comes on top of the stir-craziness induced by being cooped up due to grey, rainy days. Baby, when it is cold outside, not getting enough sun and fresh air can be a real problem. So, I’ve got a few tips for surviving your Dutch winter. I’ve even slipped in a few ways to enjoy it! Walk through the Blokker or the Hema and you’ll realize the Dutch are candle lovers. Candles help make your home gezellig in the winter! A little candle light at dinner can turn the premature dark into an advantage by adding some mystery and romance to a meal. At our house, candles also seem to work like mini-mute buttons on the kids, bringing them into a mystical space at the dinner table. Candles are even the newest reading accessory! I use a candle at my desk when I’m writing morning pages or working. Trust the Dutch! Try a candle or 17 to warm up your room and your heart! Winterkost refers to foods that will warm and fill your belly. This category includes specialties like stamppot, hutspot, and split pea soup, also known as erwtensoep or snert. My family was snobby about stamppot for years. Then a few months ago, my husband decided to make hutspot, which is carrots, onion, and potato mash. We loved it and have been converted! Check out these variations on Stampot if you’re feeling a bit limited by the traditional kale and potato combination. If you’ve been spending a lot of energy looking for ingredients to make you favorite comfort food from home, consider trying the Dutch versions. They’re tasty, plus the ingredients are easy to find and affordable, too. The Dutch take their ice skating seriously and still wonder every year if there will be another elfstedentocht. While you’re waiting for that, try one of the local ice-skating rinks for a chance to put on skates and get a glimpse of local long track skaters. If you decide you’re a fan, there are national and international competitions in Heerenveen. On 23 and 24 Febuary, the World Cup Sprint competitions will be held there and tickets are available. The website information is only in Dutch, but athleticism and competition are international languages! If your kids want to skate, there is an indoor ice-skating rink with both free skating and lessons Nijmegen. If the natural ice freezes this winter, try to get out there if you can. It’s magical and will take you right into one of those old Dutch paintings! The winter is a great time to go to Amsterdam and take in museums that will be tourist-packed the rest of the year. The Van Gogh museum, the Rijksmuseum and the Anne Frank House are all much less crowded. The Anne Frank House requires advance booking for all visitors and the Van Gogh Museum requires advance booking for visitors without a museum card. Go now and enjoy extra time and space to linger the most popular museums in the Netherlands! Disclaimer here: I’m not a medical professional. However, we all need vitamin D for bone strength and mood regulation among other things. Your body make Vitamin D by converting sunlight into vitamins. So, if you aren’t getting enough sun, you aren’t getting enough vitamin D. The darker your skin is, the less effective your body is at making vitamin D. You don’t have to be particularly dark for it to make a difference. Lucky for us, we can do something about it. Vitamin D is easy to find at drugstores like the Etos or the Kruidvat. In our house, I take some every day and so do my kids. A wake-up light is an alarm clock that imitates the effects of sunrise in your bedroom. You set the alarm like a traditional alarm clock, but also tell it how long you want your personal sunrise to last and add sound effects if you’re worried about getting up with light. I bought one last year and have been very happy with it. I’m not jolted out of sleep into a cold, dark room, but drift into a lighter sleep and open my eyes to an early sunrise. My light gives me a mood boost for the day that makes a difference. Another solution to the lack of sunlight is to bring artificial sunlight into your house with a winter therapy light or by replacing your regular light bulbs with bulbs that imitate sunlight. These can help you get the sunlight that you might miss out on during the winter. If you’re having a hard time with the weather, lack of sun, and general blues that go with it, you can visit your general practitioner. Winter depression is a real thing. A medical professional can help you figure out if your blues are seasonal or perhaps something else. They can refer you to mental health professionals and test your blood to check your vitamin D levels. When you visit, let them know not only how you feel, but how your mood is affecting your quality of life. Are there things you aren’t doing because you don’t feel willing or able? Let them know. If you’ve read this far, you know that surviving the winter in the Netherlands isn’t just about being cozy and staying warm for everyone. This is my fourteenth winter in the Netherlands and some of them have been impossibly difficult. I don’t just miss the sun but have fallen into deep winter depressions several times. So far, this year is looking much better than past years. If you’re feeling overwhelmed, you aren’t alone. Reach out, lots of us want to help! Christine Taylor is an expat, blogger, and sun lover. She carried an American passport through an international childhood and has lived in the Netherlands since 2004. She’s written a little about her experience of an expat in this article, The Reluctant Expat. In 2017, she started StoryCraft where she helps academics, entrepreneurs, and professionals tell their stories better by teaching story structure and application. You can follow her on Facebook or subscribe to the StoryCraft newsletter to stay up to date!